Hein Stapelberg: My story of becoming an ultrarunner and finishing 4th in the K-Way Skyrun. I used to hate running. Maybe that explains why I’ve never really been good at it. To be fair – there was a small window consisting of a few months in my early teens, where I came second. Consistently. And it was always the same kid that beat me, no matter how hard I pushed and practiced. But that was it and when that season ended, I was all too glad that it did. Loving the outdoors and specifically mountains, I continued doing adventure activities in a non-racing format. Slowly, the idea of trail running, purely for enjoyment started dawning on me and sometime in my mid-thirties, I started trail running. For the first few years, I was looking for training partners – and found it quite difficult to get something consistent going. At some stage, it seemed easier and more enjoyable to run alone and so I did. And then, running alone became the norm and I started loving it. At first my goal was simply to run distances of 10km comfortably. When that came, I pushed to build up to 16km and then 20km. These were all arbitrary numbers and I wasn’t following a program – just sticking to 1-2 runs a week on my local trails. Once I could do a 20km trail relatively easy, my eyes started opening to the beautiful and diverse trail races in my area and later the rest of South Africa. In January 2018, a short time before my 38th birthday, after watching YouTube videos and reading about it, I decided to enter the 65km K-Way Skyrun. This gave me 8 months, until the middle of November, to train. Being a minimalist of sorts, I have a natural aversion for too much stuff – happy space = trail + shorts + shoes. But it was clear I needed to get some equipment and a good training plan. I first tried some set training programs but found it impossible and torturous, with no real means to gauge the quality of my workout and its affect to my overall progress. During some online research I came across TrainAsONE and after the initial free trial I knew I had found the perfect training partner. The program seemed slow at first and I was quite frustrated at the series of 11-minute runs scheduled for me when I could do 20km runs. But there was certainly method to the madness and within 3 months I could feel that my fitness and endurance were increasing notably. 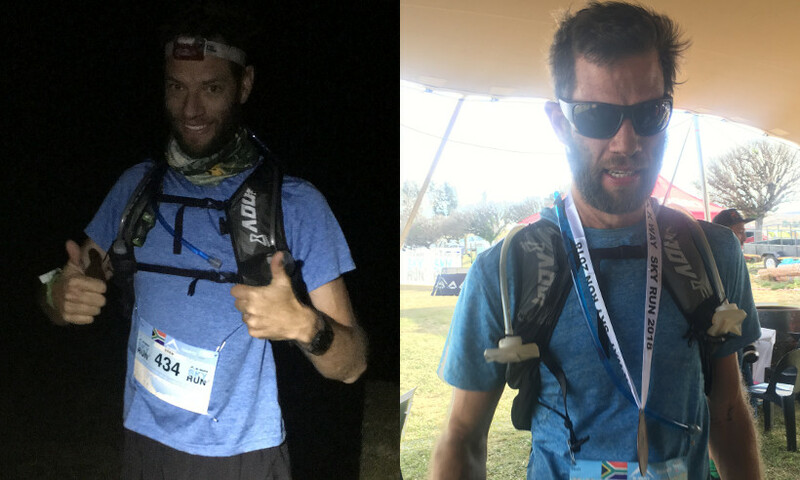 As an intermediate gauge of my preparations for the Skyrun (which took place in November 2018), I entered the little-known but super amazing Mnweni Marathon – a true mountain run consisting of proper mountain trails in isolated wilderness area, at 38km. This was to be the furthest I had ever run. The morning of the Mnweni Marathon, my chest was feeling tight and I could feel my strength was not what it should be. Nevertheless, I finished 20th at 6 hours 18 minutes – and was diagnosed with Swine Flu three days later. After 2 weeks of rest my TrainAsONE program gently restructured my training and within a few weeks I was on track again. By the time the Skyrun arrived, I was feeling fit – fitter than I ever have. My race plan was simple: Keep moving at a manageable pace and avoid injuries as far as possible until the 50km mark; then assess how I feel and start pushing towards the end. At the final check-point (about 8km from the end) I learned that I was lying 6th. I still felt strong at this stage and pushed hard on those last few kilometers. Eventually, I finished 4th overall in a time of 12 hours and 7 minutes. The high that I experienced from the Skyrun was intoxicating and lasted a good 3 days. I had done better than I could have hoped for, scarcely 8 months after starting with a proper training program and without professional coaching or special training interventions. 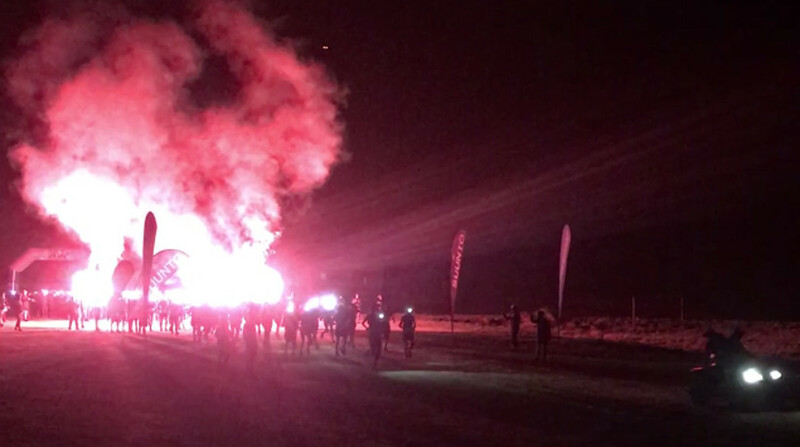 The start and end of the K-Way Skyrun. After a 7-week rest, I realised that I needed to commit to the next challenge. Enter the Mac-Mac Ultra – a debut 100 mile race that seems poised to become one of the top ultra-trail races in the region, and possibly, the world. Everything about this race is just beautiful and I can’t wait. My strategy is simple: Train as hard as I can and do not get hurt. So far so good! 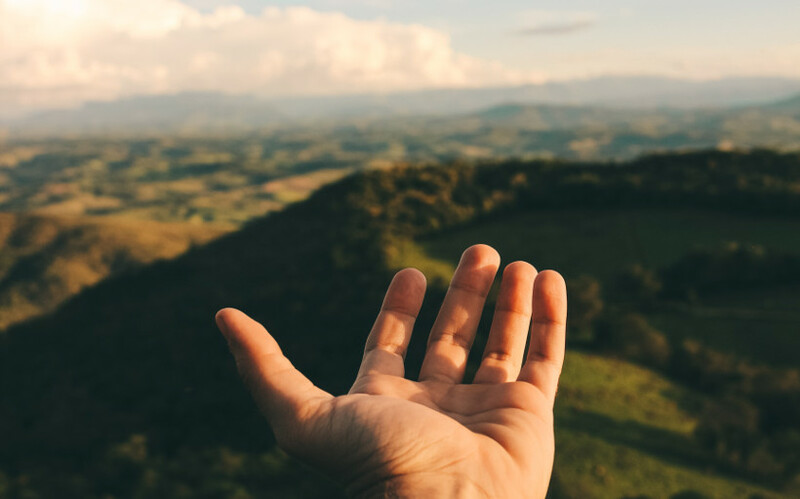 TrainAsONE has been an indispensable partner in my trail running story and I highly recommend it for anyone, irrespective of their current ability or goals. Find out how TrainAsONE’s AI-powered training plans can improve your running – whatever your goal. Account for guests to post guest articles.